What you drink is as important as what you eat. Many beverages contain added sugars and offer little or no nutrients, while others may provide nutrients but too much fat and too many calories. Here are some tips to help you make better beverage choices. Drink water instead of sugary drinks. Regular soda, energy or sports drinks, and other sweet drinks usually contain a lot of added sugar, which provides more calories than needed. Let your thirst be your guide. Water is an important nutrient for the body, but everyone’s needs are different. Most of us get enough water from the foods we eat and the beverages we drink. A healthy body can balance water needs throughout the day. Drink plenty of water if you are very active, live or work in hot conditions, or are an older adult. Water is usually easy on the wallet. 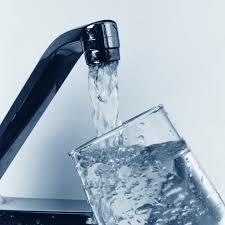 You can save money by drinking water from the tap at home or when eating out. Drink water with and between your meals. Adults and children take in about 400 calories per day as beverages — drinking water can help you manage your calories. Make water, low-fat or fat-free milk, or 100% juice an easy option in your home. Have ready-to-go containers filled with water or healthy drinks available in the refrigerator. Place them in lunch boxes or backpacks for easy access when kids are away from home. Depending on age, children can drink ½ to 1 cup, and adults can drink up to 1 cup of 100% fruit or vegetable juice* each day. When you choose milk or milk alternatives, select low-fat or fat-free milk or fortified soymilk. Each type of milk offers the same key nutrients such as calcium, vitamin D, and potassium, but the number of calories are very different. Older children, teens, and adults need 3 cups of milk per day, while children 4 to 8 years old need 2½ cups and children 2 to 3 years old need 2 cups. When water just won’t do — enjoy the beverage of your choice, but just cut back. Remember to check the serving size and the number of servings in the can, bottle, or container to stay within calorie needs. Select smaller cans, cups, or glasses instead of large or supersized options. Water is always convenient. Fill a clean, reusable water bottle and toss it in your bag or briefcase to quench your thirst throughout the day. Reusable bottles are also easy on the environment. Use the Nutrition Facts label to choose beverages at the grocery store. The food label and ingredients list contain information about added sugars, saturated fat, sodium, and calories to help you make better choices. Food-A-Pedia, an online feature available on the SuperTracker website, can help you compare calories, added sugars, and fats in your favorite beverages. *100% juice is part of the Fruit or Vegetable Group. Juice should make up half or less of total recommended fruit or vegetable intake. ** Milk is a part of the Dairy Group. A cup = 1 cup of milk or yogurt, 1½ ounces of natural cheese, or 2 ounces of processed cheese.